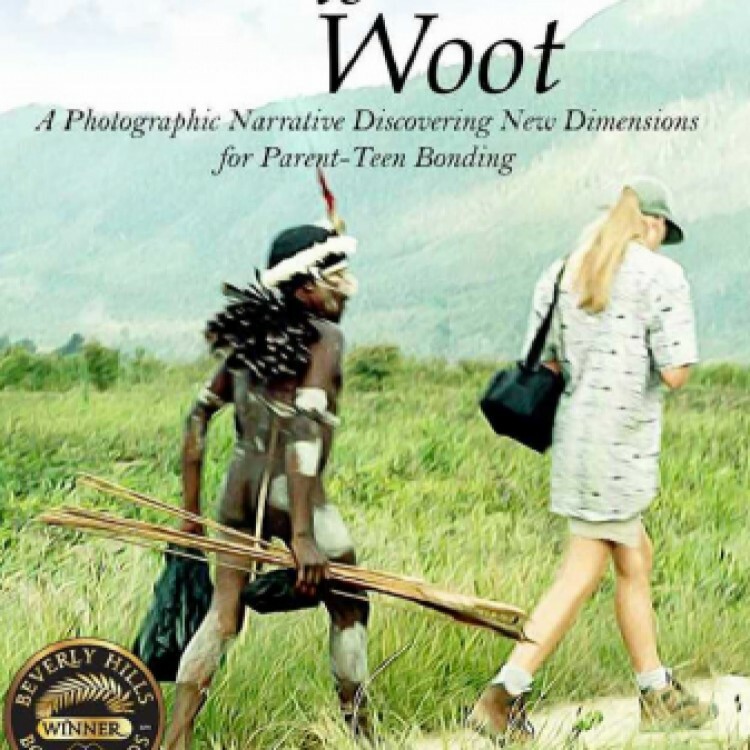 Florida Authors & Publishers announced Jackie Chase won two medals for her books, one for a warrior/daughter cover image from New Guinea on “Walking to Woot” A Photographic Narrative Discovering New Dimensions for Parent-Teen Bonding. Another honored “All Hands Working Together” Cruise for a Week; Meet 79 Cultures, about the world’s largest floating resort’s diverse crew challenges and successes. Jackie has now earned over 30 medals in international competition involving thousands of other books. Her writing style or "voice" has the unique quality of putting the reader behind her eyes as she describes the scene and the feelings of traveling with a 14-year-old daughter who is adjusting to all the primitive challenges relating to food, clothing, shelter and the surprises found in jungle hiking. Ad to her magic with words the stunning back-lit images in the eBook editions and it's possible for readers to see what she saw and feel what she felt in "Walking to Woot".